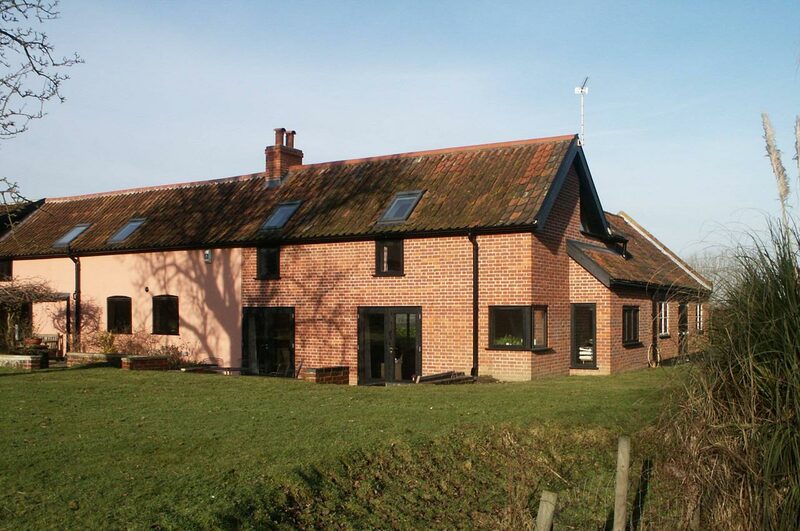 This project includes a substantial 2 storey extension and internal alterations to an existing rural cottage in Hardingham Norfolk. The extension links the cottage with the existing garage block turning through 90 degrees on the corner. The accommodation includes an additional ground floor sitting room and study with 2 bedrooms and a bathroom at first floor level accessed using a separate staircase. The alterations include new windows throughout, an en-suite to the master bedroom and new entrance hall on the ground floor. The new entrance helped simplify circulation through the cottage and make useful spaces that had previously become corridors. 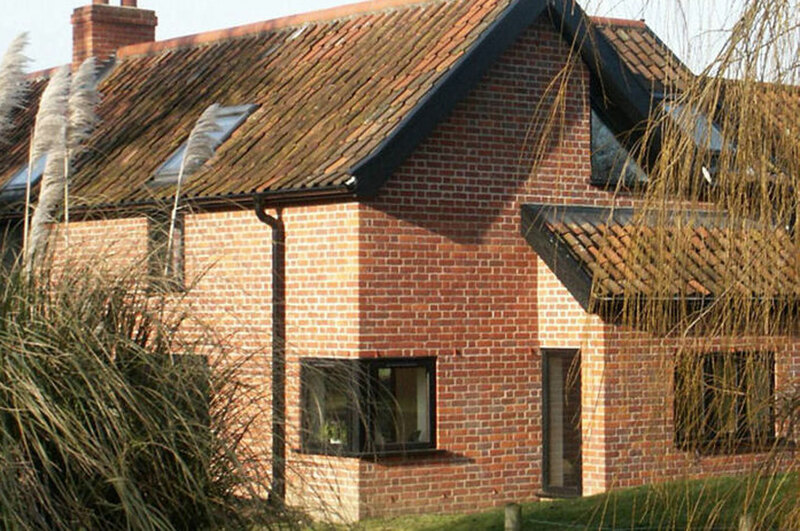 The design builds on the traditional form of the existing cottage using brick and simple window arrangements to create well lit spaces that make the most of the views over the surrounding countryside.